This doesn't fit. It's a size Large. Would anyone feel slighted if I used this blog to talk about weight loss and weight loss struggles? I'd really like to start losing weight again. When I do, I tend to focus on it and talk about it a lot. Will I be a size 2? Does that mean you can't be a hooper and fluffy? No. I have bad knees and they feel a ton better when I'm under 250. Basically, it's going to happen. And hooping is going to help me get there. So far, I've maintained my 15 pounds loss from Thanksgiving with twenty minute hoop sessions five days out of the week. I've basically been waffling for the last 2 months. When I got sick after Christmas, I just became unmotivated. I don't remember why. I think I was struggling with eating. Also, remember when I hurt my ankle? That also made me feel awful with my workouts. I even tried to join a March fitness challenge only using BeachBody products but I couldn't even start that. I should have knew I wouldn't be motivated to do it. Hooping is motivating for me. Doing exercises that will help my hooping is even better. I want to make my hooping practice the best thing ever. Although kudos to me for maintaining. Over the last three months, I was just trying The Simple Diet. And it's not super do-able for me. I'd want real food by the time I got home. And I think my plant-based diet that I was doing in December was much cheaper. Yes, buying tons of spinach and romaine was cheaper. It was plant-based but not completely vegetarian. Basically light on meat: some chicken, boiled eggs (egggies I love you! ), healthy nuts, and some fish. I psuedo-counted calories. Meaning anything veggie and healthy, I did not count, unless it was starchy. I was also following Beck Diet Solution. I'm also awful at taking before/after pictures. Deep down I wonder if I would be more successful as a hoop teacher if I lost weight. I don't like thinking like that cause I know it's not true. But it's a deep fear. -Write down what I eat. No matter what. -Be active at least 10 minutes a day, every day, no matter what. -Eat mostly plant-based, using meals and shakes in emergencies. -Hoop 30 minutes every day except for Sundays when I work. Ten minutes is acceptable in that case. -If possible, hoop on lunch breaks. -Fit in some strength training. On sparkpeople, I found a quick, basic strength workout. I'd say do it at least twice a week. Three is much awesome. I'd like to add a barre workout at least once a week. I'll put it in the yoga/pilates section of workout stuff. -Do a yoga DVD once or twice a week. -Maybe do Betty Hoops DVDs. -Walk the dog even if it's just around the block. Try to work on time. I should be able to walk him in 15 minutes. 0.94 mile shouldn't take me that long. Although I continue to blame the dog. -The idea is to start small. The biggest key is to hoop every day and eat healthy. I can't really tell you what I weigh this moment. I weighed but I've ate recently. Last time I weighed without food, it was 247.5. So still under 250. If I hit 243, I might treat myself to the waves class on hoopcity. That'd be my 10% goal. I like timed goals also. 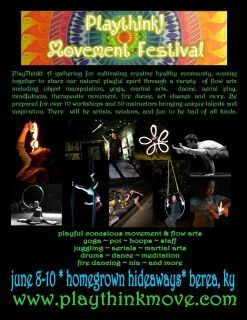 In June, I will be going to PlayThink Movement Festival. I'd like to be 230 by that time. Even though doing the math, that calculates to 2.25 pounds a week. So that'd mean a whole lot more work that I really want to do. It seems doable to me though. Maybe 235? Basically it depends on what I weigh in today. I will be happy and proud if I could be at my 10% by PlayThink and 4-H. I also wouldn't mind actually fitting into that BodyHoops outfit that is in size Large. Yes, the best thing you could really do is eat most likely plant base foods, specially green leafy foods because it is loaded of fiber..
You have shared useful information about weight loss. Your post will induce the hesitating lot to take to a weight loss program. Apart from the product or program one needs to have the will power to reduce weight. The best way to weight loss is running. click here to get more tips for weight loss.